When does a petition denied become a revolution? The answer is history’s judgment. Gay civil rights pioneer Frank Kameny, in 1961, was denied his day before the Supreme Court, and no one noticed. He read about his rejection in a one‐inch notice in the Washington Star. 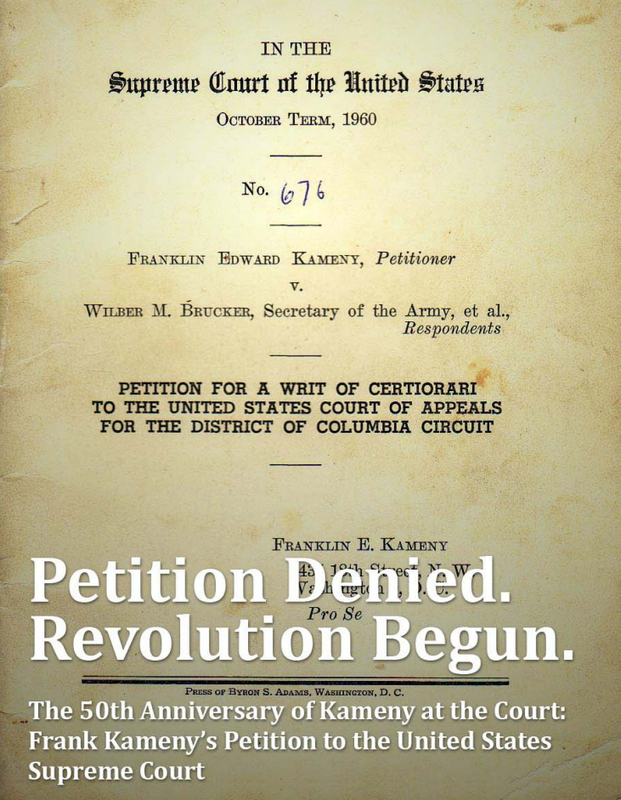 Kameny’s powerfully argued petition to the Court marked day one in a revolution of legal argumentation and law for a vast homosexual minority demanding equal citizenship. Read the document.